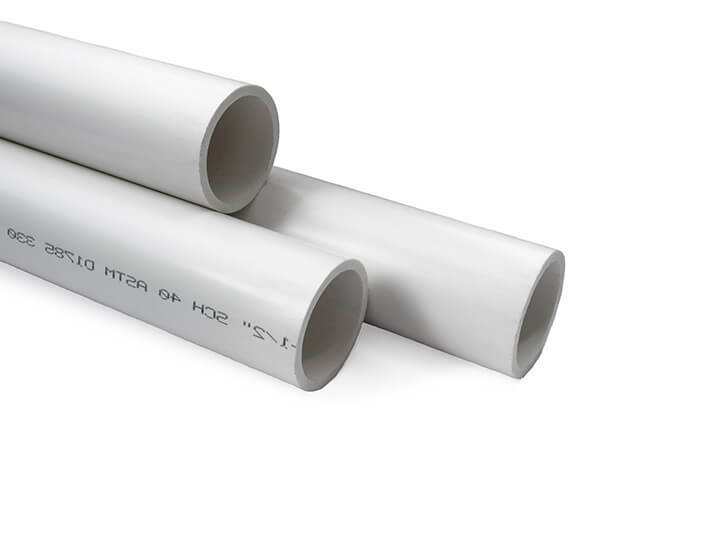 Our Sch40 pipe is manufactured in the USA to full ASTM requirements. Under such specification, pipe is manufactured to three different schedules; 40, 80 and 120, with the pressure ratings increasing respectively. Unlike the UK Class system or the European PN system however, the pressure rating of each pipe changes according to it's bore. Our schedule 40 PVC pipe is used for a variety of applications including commercial swimming pools and spas, water treatment, processing lines (especially food processing lines) as well as general fabrication and engineering. The pipe is a slight creamy "off white" in colour and has black writing, denoting the specification of the pipe, down the side. The black writing can be removed with careful use of pipe cleaner and a clean, often rotated cloth.